MainAll NewsIn Other News...Why did 'kosher' Burger Ranch remain open over Sukkot? Chief Rabbinate explains why Ben Gurion Airport branch of popular fast food store allowed to remain open on holidays and Shabbat. 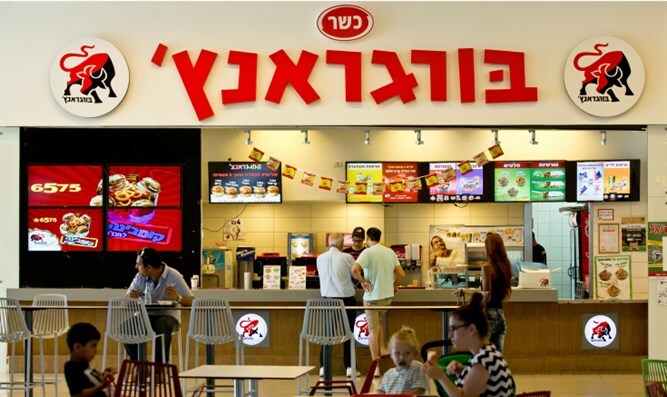 Travelers at Ben Gurion Airport were shocked to find that the Burger Ranch branch at the airport remained open over the first day of the Sukkot holiday, despite having kashrut certification, Channel 10 reported. Kosher restaurants are ordinarily required to close on Shabbat and on major Jewish festivals under Jewish law. Tali, a visitor to the airport, told Channel 10 that "I am not observant, so it did not bother me. It just seemed very strange that a place that boasts about being kosher stayed open during the holiday. All the other places were closed." The Ben Gurion Airport responded to Channel 10's inquiry by stating: "The Ben-Gurion branch operates in accordance with the instructions of the Chief Rabbinate." The Chief Rabbinate stated: "In the Duty Free complex there is a procedure for Shabbat for the chains that are obligated to open the branch on Shabbat for passengers of foreign airlines."